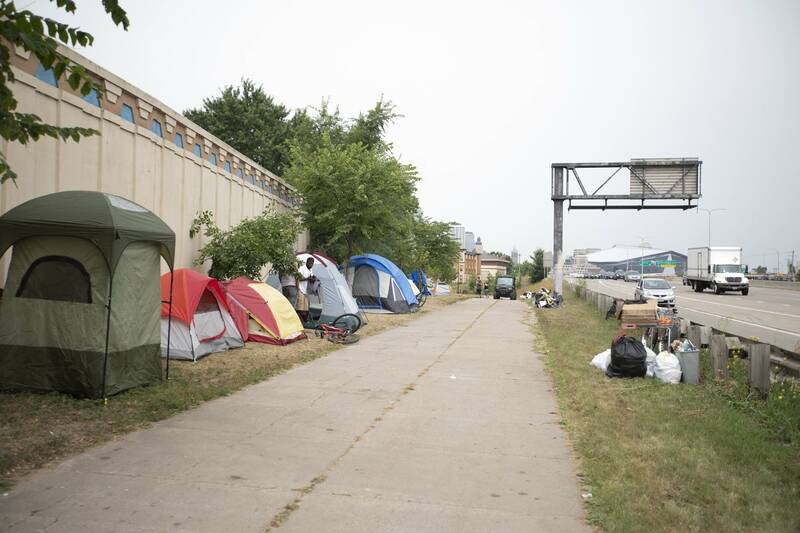 Minneapolis Mayor Jacob Frey says a previously stated goal of clearing a growing homeless encampment in the city by the end of September may have to be pushed back. 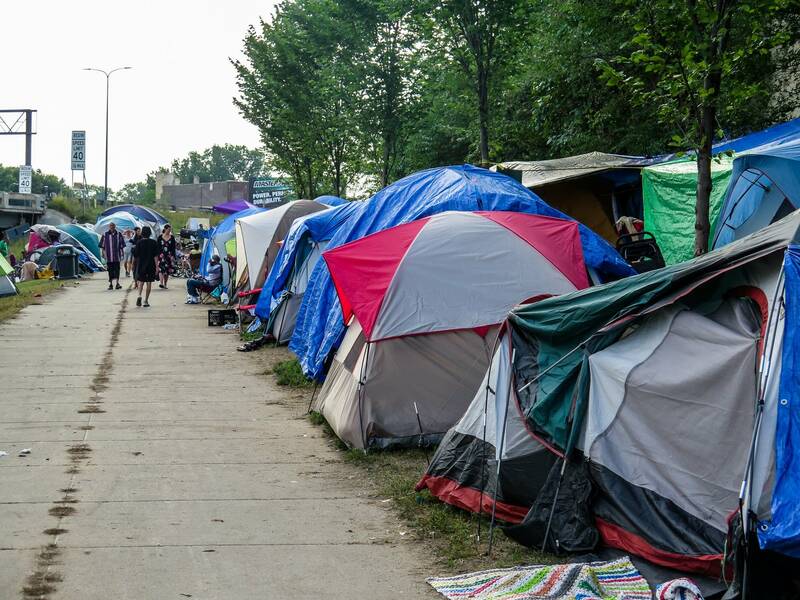 There have been mounting health and safety concerns about the encampment near East Franklin and Hiawatha avenues, which is now home to more than 300 people living in tents. Organizations that have been assisting residents of the encampment say it's comprised mostly of chronically homeless Native Americans, many of whom suffer from drug addiction. Frey told MPR News on Sunday that plans for temporary shelter for people in the encampment should be in place by early October, before cold weather sets in. Last month, Frey and other officials had pledged to have the encampment cleared by the end of September. "We want to do this right; we want to work with the community," he said. "We want to make sure that what we do is culturally sensitive and informed. The reality is you are not going to end homelessness overnight, but we can start down the correct path." Frey confirmed that two deaths have been linked to the encampment so far. He said much of the focus at the encampment needs to be on dealing with opiate and synthetic opiate use, "making sure that people have the proper resources as well as medical attention and making sure that some of the individuals assisting at encampment are armed with naloxone and Narcan to prevent these overdose deaths." Some Minneapolis City Council members have discussed the possibility of a supervised injection site, like ones seen in Canada and Europe. Frey said Sunday that he has reservations. "I'm open to exploring an option that would be operated by medical professionals and coordinated with additional support and recovery services," he said. "I'm open to looking at that. But there are many difficulties and problems with having a government-run injection site." There has been criticism of the response by the city and other levels of government to the encampment and the health risks it has created. Antony Stately, chief executive of the Native American Community Clinic in Minneapolis, told the Minneapolis Star Tribune that there's been a lack of coordination among city, county and state agencies. "All we need is for one of those kids at the camp to go to school with TB (tuberculosis) or hepatitis A and then everyone in the school will have it — and then you have a serious outbreak," Stately told the Star Tribune; his clinic has sent health workers to the encampment. "Their lack of ability to coordinate this is a good indication of how outbreaks happen."